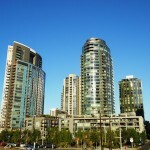 One of Portland Condos favorite areas is Portland’s South Waterfront. Portland’s South Waterfront is the site of the most active development now underway in Portland, OR. Glass towers for Portland condominiums and office space soar high above the Willamette River offering spectacular views of the Cascade Mountains, West Hills and urban landscapes. South Waterfront is a close-in neighborhood to central Portland with easy access to the center city by trolley and tramway. A great place to own a Portland Condo.